HK USP COMPACT 45 THREADED BARRELS | Jarvis, Inc.
A National Match Grade replacement pistol barrel for the HK USP 45 Compact. Made from 416 Stainless Steel Forgings for unmatched strength and longevity. Conventionally rifled for lead and jacketed bullets, with a fully supported chamber. Available in a variety of thread patterns to match your specific need. *CURRENTLY ONLY AVAILABLE IN STAINLESS FINISH. We thread barrels only after the barrel has been ordered and approximately every 2-3 weeks. Barrels are threaded with thread information given us by the purchaser. Once the barrel has been threaded it cannot be changed or canceled. 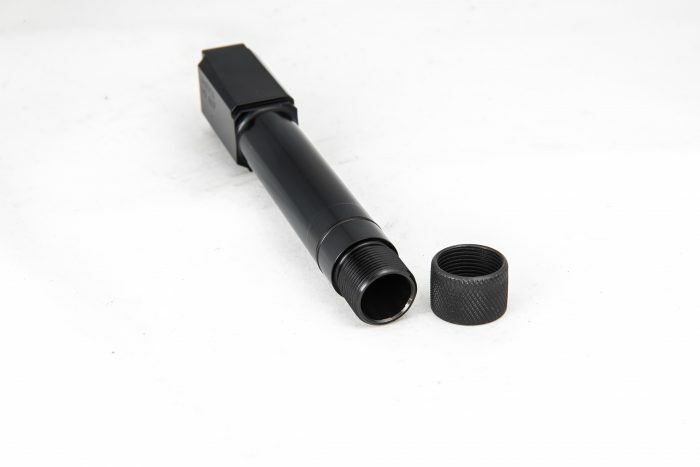 Barrel caliber/threading specs listed under “threading options” include common threads used for suppressors and other attachments. If unsure of thread, contact the manufacturer of your barrel attachment or contact us at (406) 625-2562. 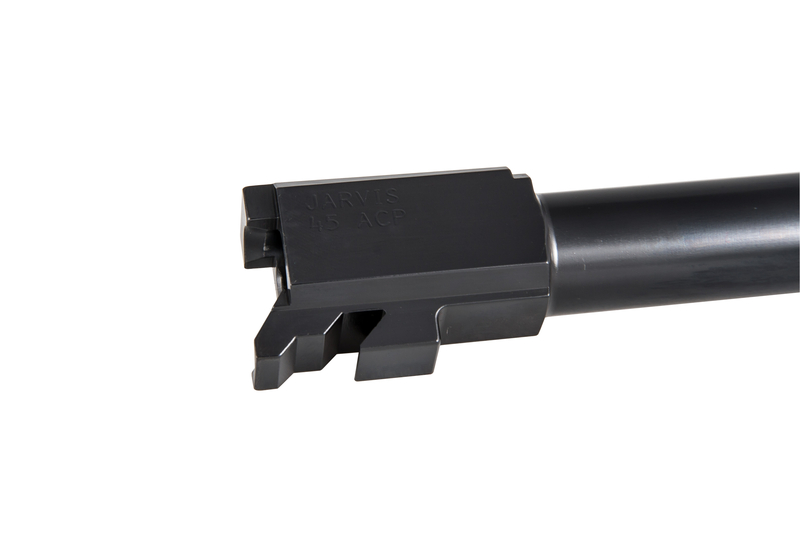 All threaded barrels ship with one thread protector at no charge (1/2-32, 1/2-36 excluded). For instructions on sending your slide, please click here. Slide only needed for barrel fitting. Order number must be visible on outside of package when shipped. NOTE: BECAUSE ALL IN STOCK BARRELS ARE CUT, CROWNED, THREADED, AND FINISH APPLIED TO THE CUSTOMERS ORDER SPECIFICATIONS PLEASE ALLOW 2-3 WEEKS FOR SHIPPING.